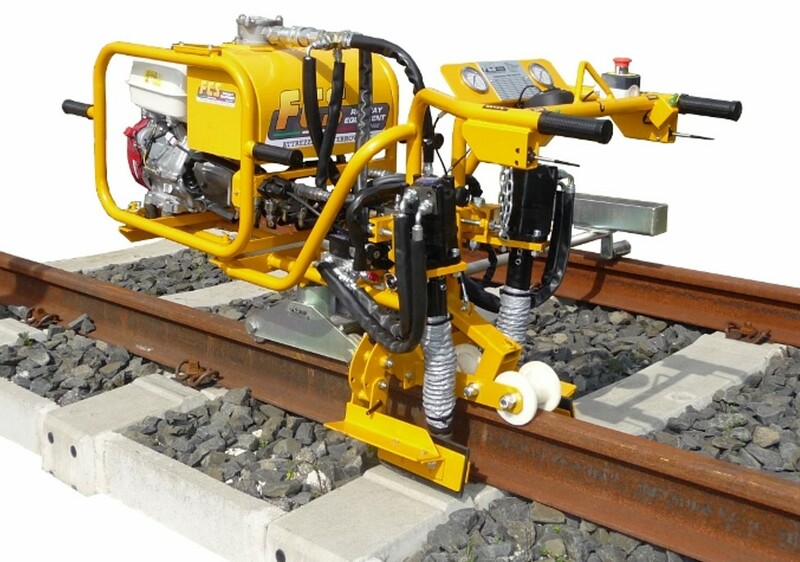 The double head Vossloh e-clip machine has been designed for screwing and unscrewing two Vossloh-attacks at the same time. The termic diesel engine of last generation with interchangeable filter and soundproofed silencer, controls the high pressure hydraulic pumps, that start the two hydraulic engines for screwing and unscrewing wrenches; the torque is indicated by two gauges on the carter of the machine. It has a hydraulic ignition through a hydraulic cylinder which is also a clamp for the insertion the Vossloh attacks. It is equipped with a lighting system for working during the night, an ergonomic handle, where there are the controls of the machine assisted by electro-sensors, guarantee precision and rapidity of work in the maximum safety for the operator. In addition, the machine can be easily disassembled in the engine unit, in the frame and in the trolley guide.